I rarely think of you, but when I do my emotions are often so mixed. 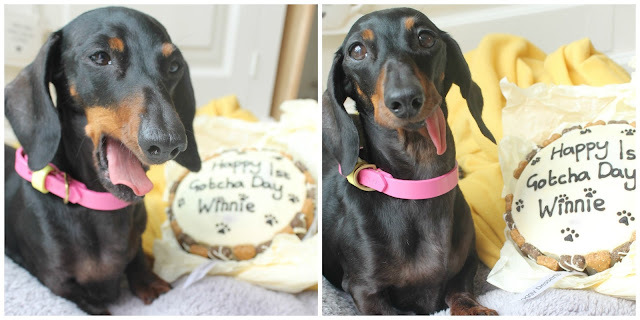 Some days I find myself making excuses for you, because I just can't comprehend the state Winnie was in when I met her... maybe you were a well-meaning woman; perhaps you suddenly found yourself with too many dogs and not enough money? Perhaps you loved your dogs so much but couldn't provide for them as well as you might have wanted? Other days, I'm filled with rage and I can't believe you ever let Winnie suffer the way she must have been suffering. 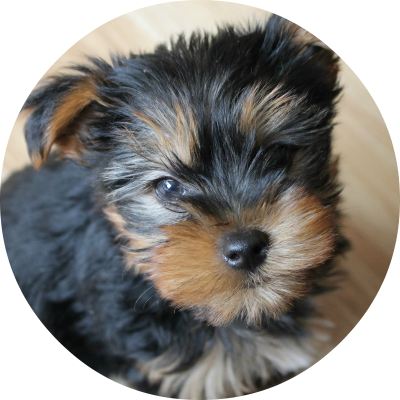 After speaking to others who have bought puppies from you, I'm inclined to believe that you're actually just greedy. You didn't want to waste money on vet bills for an older dog you couldn't breed from anymore, anyway. After just a year, I can't imagine my life without Winnie. I can't even imagine Archie without Winnie. In fact, after just a few short months, despite the money we'd spent on her and the tears I'd shed over her, I couldn't imagine our home without Winnie in it. I simply cannot believe that you owned Winnie for nearly 7 years, and thought so little of her that you wouldn't get her help when she was hurting. I can't believe you looked into her eyes, knowing all of her teeth were rotting and falling out, knowing the pain she must have been in... and you ignored it. That was just the surface, too. She had so many other health issues plaguing her. Perhaps, actually, you didn't ever look into her eyes. Perhaps you never saw her as a little soul at all. I see her. I love her. I am so sad that you didn't, and that she had to live that way for 7 years. She will always, always have a home with me. However, I'm also thankful. I'm thankful as your neglect means that I can have Winnie in my life. She has taught me patience, unconditional love and the joy of owning a "dog with a past". Every little success with Winnie is a milestone; she is a completely different dog to the one we took away from you a year ago. She's currently snoring away as I write this, tucked up next to me on the sofa. Warm, loved and part of a family. So thank you... you didn't deserve her anyway. 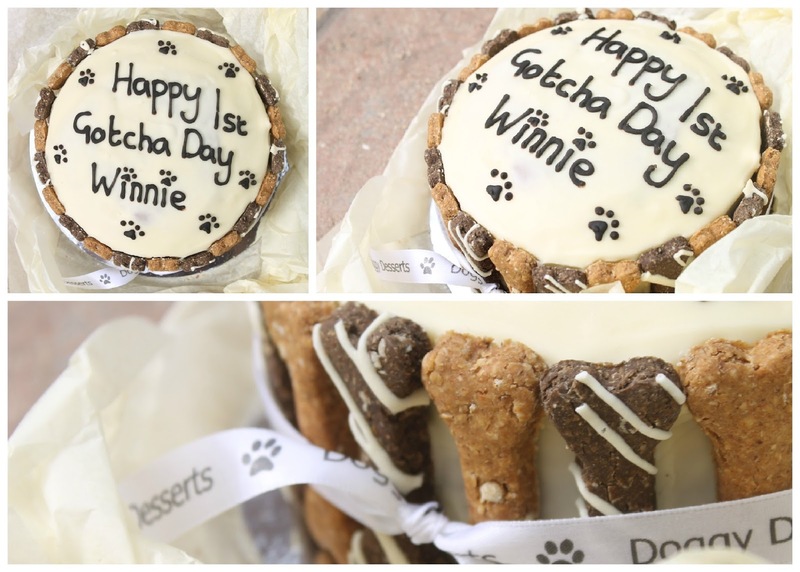 Winnie's beautiful gotcha day cake was very kindly donated by Doggy Desserts bakery, who coincidentally are based in Winnie's hometown; thank you so much! Paws in the Park | Ft. Pit Pat, Broughton & Co and more! At the beginning of July, I packed up the dogs and headed off to Paws in the Park with our best pal Bernie and his Mum. Paws in the Park is a fab day out, with fun activities like dog diving, agility, gun dog displays and a companion dog show. Of course, there's also lots of lovely food and stalls to shop at! The event is held three times annually, across several different locations. The summer show is held at Stanstead House in Havant, which is close to our usual haunt of Hayling! It's a beautiful location with a wonderful country house, perfect for taking the photos you see above. The last time we went to Paws in the Park Archie was just 5 months old, and he was my only dog! I was excited to go back with both dogs, and our friends of course. 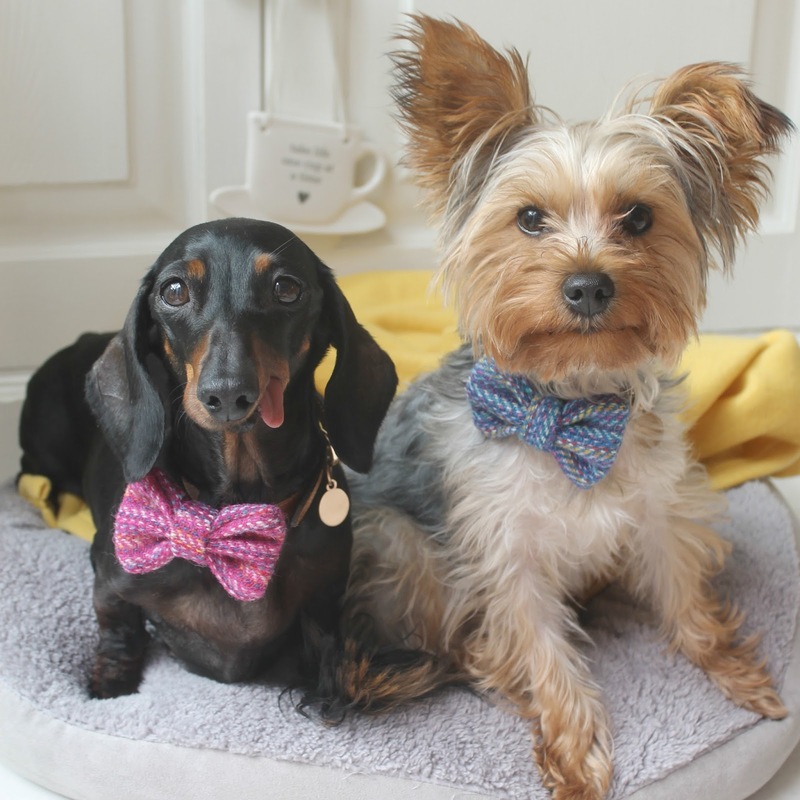 The dogs were dressed to impress in bows from my etsy shop (Chloe Suzanne Designs) and Archie was also wearing his Pit Pat activity monitor. I thought it would be fun to see how much exercise he gets on a day out like this, and compare it to the stats from my Fitbit! Of course, we had to stop by the Broughton & Co stand, and buy more goodies! I picked up another collar, and two personalised lovelocks for the dogs. We spotted Archie in amongst all the Broughton Pup Recruits, and he took a particular shine to Creative Director Luna (so did I!) Luna had an operation this week, so we're sending lots and lots of get well vibes and cuddles to her! Broughton & Co will always be our absolute favourite for collars; the range of colours and styles are second to none, and Philippa offers incredible customer service. I recently had an issue with two of mine (which was TOTALLY my fault and Philippa was under no obligation to help me) but she offered to take them back and sort them out. Incredible service! We now have four collars and two lovelocks, and they're just stunning. The pieces are pure luxury, and I'm sure we'll continue to add to our collection! We also came across a new brand, Kera Pets, who offer gorgeous pieces in a variety of colours and sizes. Our favourite was a beautiful jade green shade, and the collars were affordably priced. It's so lovely to discover new brands at these shows! We also stopped off at Equafleece, and picked up a new mulberry number for Archie. We spotted some familiar faces! After lots of fun with our pals, we headed off to the beach at Hayling for some lunch! At the end of the day, I checked out my Fitbit and Archie's Pit Pat: what a busy day Archie had! 255 minutes of activity, whereas my own monitor measured just 44 minutes for me. It goes to show that a good walk and some fun at the beach really gets their little legs and hearts going! I love that the monitor also tracks their play and sleep; it's fab getting an insight into Archie's day. I hope you enjoyed reading, and that you've had a lovely week!